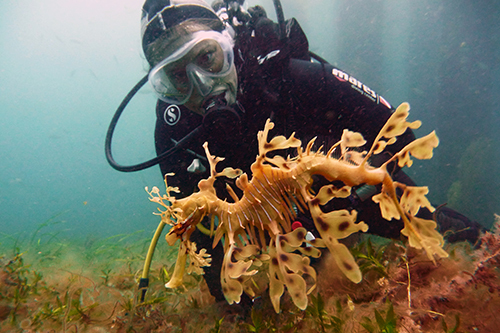 The Leafy Sea dragon is our marine emblem here South Australia and for good reason! Sea dragons are endemic to the southern waters of Australia and can only reliably be found right here in South Australia – nowhere else in the entire world! 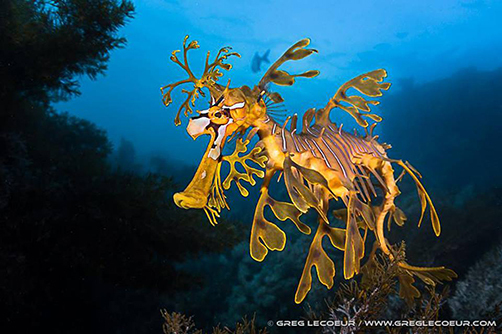 That’s why Leafy Sea Dragons are a sight not to be missed when you’re visiting South Australia! 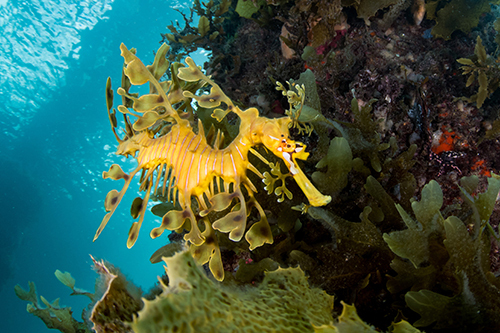 Book a Leafy Sea Dragon Dive with the our experienced and professional guides here at Diving Adelaide and get face to face with these amazing creatures! Sea Dragons come from the same family as Sea Horses, but grow a lot taller than sea horses and they don’t hold on to anything with their tails! They just gently float in the sea grasses and are very well camouflaged. 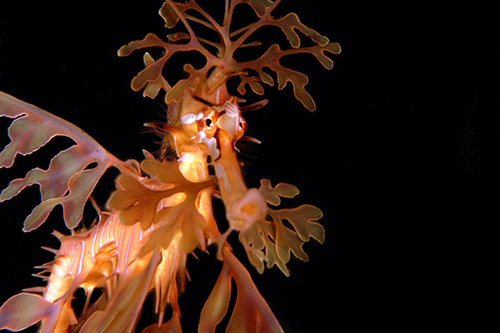 Because Sea Dragons are so unique, they are a protected species. We love showing you these amazing creatures in their natural habitat. You’re most likely to encounter a Leafy Sea Dragon on a dive at the famous Rapid Bay Jetty or at the Bluff in Victor Harbor. If you’re lucky you can also spot them at one of the amazing jetties on the Yorke Peninsula (Wool Bay Jetty or Edithburgh Jetty for example). To see the gentle dragons, book a Leafy Sea Dragon tour with Diving Adelaide , or join us on one of our famous Yorke Peninsula Weekend Aways! Our main leafy sea dragon dive sites (the famous Rapid Bay Jetty and Victor Harbor Bluff – both shore dives with easy access) are about an hour and a half drive to get to from the city. We usually meet at the dive centre at 9AM and you will return between 4 and 5PM (due to the travel times, two dives will take the full day). Our dive centre is located right next to tram stop 6 (South Road). We only have 1 tram line in Adelaide that goes from the city to the beach at Glenelg and vice versa, so we are very easy to reach with public transport. 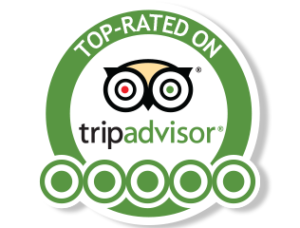 We always do two dives on our guided tours because of the long drive. $289 – Standard Price for a two tank guided leafy sea dragon tour for 1 person, including gear, cylinders, weights, transport (1½ hours return) and a private guide. $149 – Bring 1 friend – SAVE $140 per person! $125 – Bring 2 friends – SAVE $164 per person! $99 – Bring 3 or more friends – SAVE $190 per person! We’re looking forward to diving with you soon! Simply send us an email at info@divingadelaide.com.au with your preferred date to book in your leafy sea dragon dives. We will then send you a confirmation email with online payment link, so you can confirm your booking online!